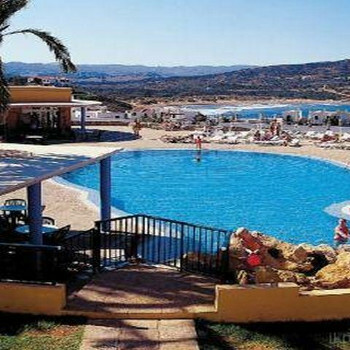 My 22 year old daughter and I stayed at the Tirant Plya Apartments Cala Tirant. We went bed and breakfast. The rooms were spacious and light and we had a top floor room G4 with fantastic views. Don't go with the food option the food is terrible and spoils the experience as the rest of the complex is lovely. In general most of the staff were very pleasant. Entertainment was only on two nights of our week stay and was pretty hopeless you wouldnt miss out if you didnt watch it. The pool area and outside seating area was lovely and maybe because it was an early part of the season, June, the complex was very quiet and tranquil perfect for reading a book and chilling out. Not a place for a late season break. The hotel staff are delightful and would help with a smile but the reps were obviously in the end of season mode and just waiting to go home. The apartments were spacious and clean, set in well kept grounds and luckily we had perfect weather to enjoy the large swimming pool. Entertainment consisted of a quiz by the pool and children's entertainment consisted mainly of colouring or board games which was rather boring for two energetic 5 year olds. Please Dont go anywhere near this place especially if you have children! This is a copy of a letter my wife sent to thomas cook two days after arriving back in the uk! We have recently returned from a holiday from hell in the Tirant Playa Apartments in Playa de Fornells. The apartments were really nice, lovely and clean. We had regular towels and linen changes. The hotel staff were really helpful and nothing was too much trouble. The holiday reps were ok but the entertainment (if you could call it that) was diabolical. Every day the reps did a quiz by the pool and bingo every night. The childrens reps lack any motivation and they looked more bored than the childre they were supposed to be entertaining. One of the reps was ok at singing but the other one sounded like she was being murdered. The food at the bar was ok but we ate most of our meals at the El Cactus at the top of the hill, lovely food and really reasonable prices. The resort was really quiet it consists of 2 supermarkets, 3 restaurants, 1 bar. There is another hotel at the bottom of the hill but it's full of German tourists, we ate there 1 night - it was 12euros per adult and 8 euros per child and I wish I hadn't bothered. We walked a couple of time into Playa Fornells it took about 40 mins but it's a lovely place on the harbour with quite a few restaurants and a couple more shops. They have lovely fresh seafood. There is a beach down the hill from the Tirant but it's absolutely filthy. All in all the apartments were lovely but the location and lack of things to do let the whole holiday down. My 14 year old daughter told me she would rather be in school than be there! Couldn't have asked for anything more, even though the resort is fairly low key these apts made up for that. Don't leave your towels out, as they will be taken off and put on the little stage. If you get a sea view apt, the view is stunning. If you have kids between 4-11 go there the kids club is second to none. The appartments are well maintained, the maid service was excellant, towel change every other day and linen twice a week. There is a ceiling fan in the bedroom and you can hire fans from reception for the lounge area. The meals from the restaurant were quite basic but very reasonable, there is a takeaway service in the evenings and the pizzas are yummy. The kids club was fantastic,it was hard to drag our 6 and 9 year olds away. The evening entertianment was there if you wanted it but not over the top,the reps pantomime was good and there was an excellant puppet show one evening. Dont use the supermarket at the bottom of the hill the food is very near the sell by date.The restaurant at the top of the hill (IN THE MIDDLE) has an excellant range of fresh sea food and will adapt any of the menus to suite children. The apartment we had was clean & spacious, and the grounds were well kept. The pool was clean and the surrounding area tidy, but could get V crowded after 10am. The kitchen facilities were basic, but again v. clean. Can't really comment on the entertainment in the evening, but seemed to centre around bingo. The poolside entertainment during the day was usually quite funny, even if only from a mickey-takers point of view. The Reps worked hard to include everyone, but were not "pushy" if you wanted to opt out. We had no "view" as such from our apt. but, we didn't have to climb a whole heap of stairs to get there either! TIP: If you stay at the S/C at the TIRANT Apts, do not use the supermarket down the hill to your left as you walk out of the reception. It is very expensive and the pre-wrapped cheese we bought there was mouldy. Instead, turn right out of the gate and go up the hill, turn right (past the Es Cactus) then left and there is a much cleaner, cheaper supermarket there. There is also a cashpoint there. This hotel was lovely and clean, the staff were brilliant and the entertainment was great! Rooms were clean, and the weather was fantastic. There was a range of ages who travelled on this holiday and we all really enjoyed it. Ideal holiday if you are after a quiet break ! Having read some of the reports on Tirant Playa apartments I can only assume that either some people are very easily pleased or it is not the same place we have just returned from. First the good points: The reception staff were helpful and courteous and the standard of housekeeping was high. However, there were several minuses. The bar prices were very high and the staff were miserable. The kitchen equipment was minimal (no wine glasses, no mixing bowl and no pegs to hang out clothes).